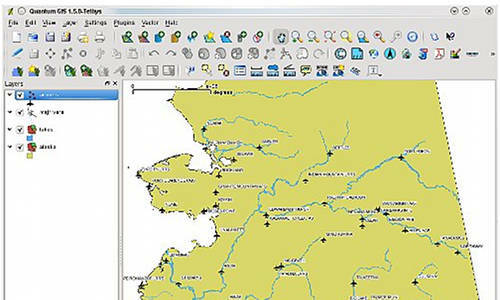 Quantum GIS (QGIS) is a user friendly Open Source Geographic Information System (GIS) licensed under the GNU General Public License. QGIS is an official project of the Open Source Geospatial Foundation (OSGeo). It runs on Linux, Unix, Mac OSX, Windows and Android. Quantum GIS supports PostGIS and SpatiaLite, most vector formats supported by the OGR library, including ESRI shapefiles, MapInfo, SDTS and GML. GRASS locations and mapsets, online spatial data served as OGC-compliant WMS , WMS-C (Tile cache), WFS and WFS-T.